This research investigates progress in the integration of information and communication technology (ICT) into curriculum-based teaching and learning in the Lesotho high school science classroom, with the aim of establishing how effective e-learning can be supported to enhance teaching and learning. Using a variant of action research, this study investigated the extent of computing infrastructure in schools and ways in which ICT tools were used in subject-based teaching. Barriers to ICT implementation and the perceptions, aptitude and skills of Lesotho science teachers and students were investigated. Literature studies were conducted and pertinent concepts were used to generate a framework of evaluation categories and criteria for addressing the research questions. The criteria were translated into questions and evaluation statements for collecting data. The study identified notable progress, but determined that more needs to be done to support e-learning in Lesotho. Kalanda, K. & De Villiers, M.R. (2013). E-Learning in the Science curriculum: A study in selected high schools in LESOTHO. In J. Herrington, A. Couros & V. Irvine (Eds. ), Proceedings of EdMedia 2013--World Conference on Educational Media and Technology (pp. 1664-1673). Victoria, Canada: Association for the Advancement of Computing in Education (AACE). Retrieved April 25, 2019 from https://www.learntechlib.org/primary/p/112189/. Alford, G., Herbert, P. & Frangeheim, E. (2006). Bloom’ s Taxonomy Overview. In Innovative Teachers’Companion (pp. 176-224). ICT Publications. Baskerville, R. & Pries-Heje, J. (1999). Grounded action research: A method for understanding IT in practice. Accounting, Management and Information Technology, 9(1), 1-23. Bingimlas, K.A. (2009). Barriers to the successful integration of ICT in teaching and learning: A review of the literature. Eurasia Journal of Mathematics, Science and Technology Education, 5(3), 235-245. Charmaz, K. (2002). Qualitative interviewing and grounded theory analysis. In J.F. Gubrium & J.A. Holstein (Eds. ), Handbook of interview research: Context and method, (pp. 675-694). Cohen, L., Manion, L. & Morrison, K. (2005). Research methods in education. (5th edn.). London: Routledge. Culp, K.M., Honey, M. & Mandinach, E. (2005). A retrospective on twenty years of education technology policy. Journal of Education Computing Research, 32(3), 279-307. De Villiers, M.R. (2005). Interpretive research models for informatics: action research, ground theory, and the family of design and development research. Alternation, 12(2), 10-52. Erixon, P. (2010). School subject paradigms and teaching practice in lower secondary Swedish school influenced by ICT and media. Computers& Education, 54(4), 1212-1221. Garrison, D.R. & Anderson, T. (2003). E-Learning in the 21st Century: A framework for research and practice. London: Routledge. Kalanda, K. & De Villiers, M.R. (2008). Toward ICT integration in the science classroom: A Comparative Study of cases in Lesotho and South Africa. In J. Luca& E. Weippl (Eds. ), Proceedings of World Conference on Educational Multimedia, Hypermedia and Telecommunications (EDMEDIA), Vienna, 30 June-4 July 2008 (pp. 3175-3182). Kalinga, A.E., Bagile, R.B. & Trojer, L. (2007). 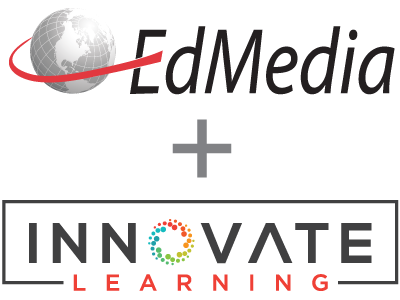 An interactive e-Learning management system (eLMS): A solution to Tanzanian secondary schools’ education. World Academy of Science, Engineering and Technology, 3(19), 109-112. Kozma, R. (2005). National Policies that Connect ICT-Based Education reform to Economic and Social Development. Human Technology, 1(2), 117-156. Lateh, H. & Muniandy, V. (2010). ICT implementation among Malaysian schools: GIS, obstacles and opportunities. Procedia-Social and Behavioral Sciences, 2(2), 2846-2850. Schoepp, K. (2005). Barriers to technology integration in a technology-rich environment. Learning and Teaching in Higher Education: Gulf Perspectives, 2(1), 1-24. Slaouti, D. & Barton, A. (2007). Opportunities for practice and development: newly qualified teachers and the use of information and communication technologies in teaching foreign languages in English secondary school contexts. Journal of In-service Education, 33(4), 405-424. Tondeur, J., van Keer, H., van Braak, J. & Valcke, M. (2008). ICT integration in the classroom: Challenging the potential of a school policy. Journal of Computer& Education, 51(1), 212223. Yucel, C., Acun, I., Tarman, B. & Mete, T. (2010). A model to explore Turkish teachers’ ICT integration stages. The Turkish Online Journal of Educational Technology, 9(4), 1-9.